Welcome! If you are looking for the nation's largest all-breeds sheep magazine, you have come to the right place. 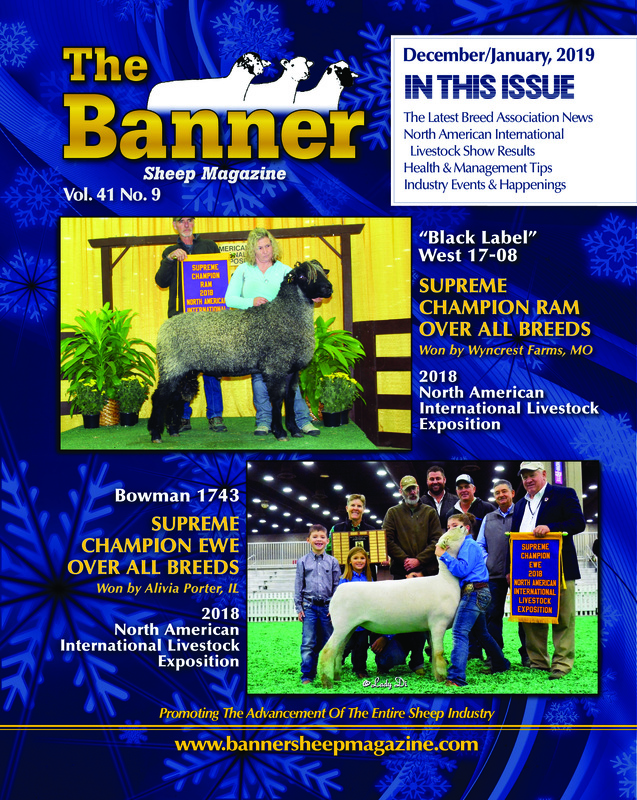 Published nine times a year, it covers up-to-date sheep industry news, the latest breed association notes, health & management tips, all major sheep sales, sale reports and state fair results. We have been in the business for over 30 years, and know a thing or two about how to promote your flock. Click 'Subscribe' to start getting your copy of The Banner! Click any of the links, above, to see a sample page. Isaacson 343 "Izak" was selected Champion Ram for both the Open and Junior Shows at NAILE. 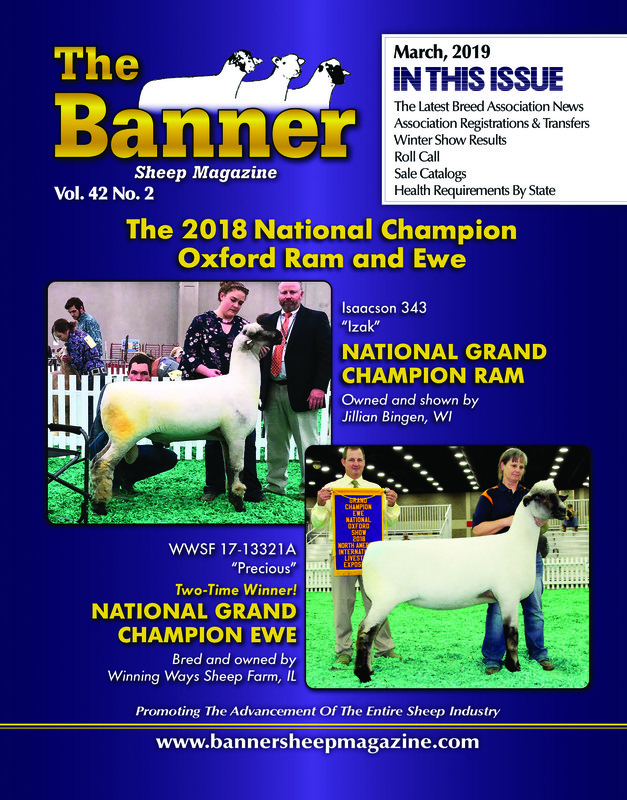 Earlier, he was Champion Ram for Rick Isaacson at the Wisconsin State Fair, and then was purchased by Bingen Oxfords and Winning Ways Sheep Farm. WWSF 17-13321A "Precious," our two-time National Champion Ewe, is emblematic of the sheep we strive to breed for here at Winning Ways Sheep Farm. She is long, straight and correct, with good substance and muscling. She is wide-topped with a big hip, yet remains clean and extended up through the front. Click the image of the magazine at left to get a closer look at the cover. Like Us On Facebook to get even more sheep news and articles!